Tasheemah is a Higher Education Associate in the Office of Human Resources and has been nominated for Outstanding Job Performance, Distinguished Deed, and Outstanding Community Relations that enhance the mission of the College. Tasheemah manages the recruitment process for all full and part time non-teaching staff. She is the master of CUNYFirst TAM; she gets the positions posted, advertised, downloads resumes and meets with search committees (in a nutshell). 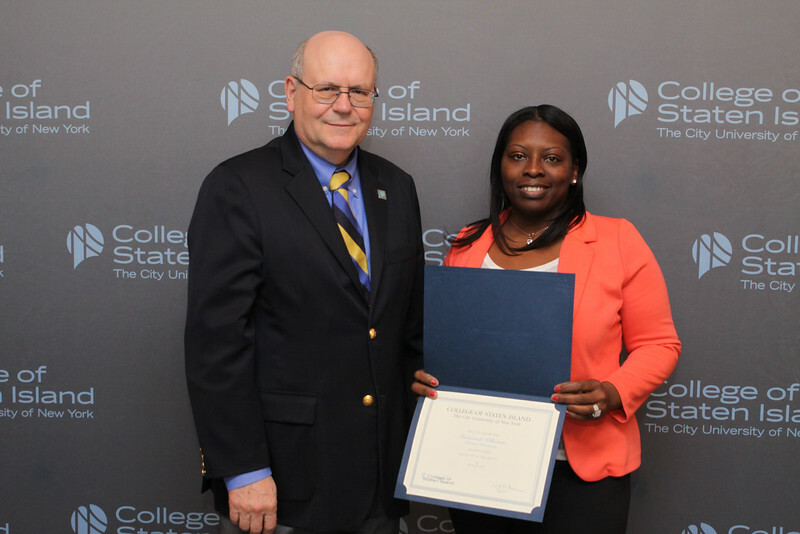 She coordinates on a daily basis with the Office of Diversity and Compliance and communicates with Department Heads, Managers, & Search Members to ensure that CUNY guidelines are followed and that all applicants are given proper consideration. Recruitment is just one aspect of Tasheemah’s work here at CSI. She is a valuable member of the CSI HR Team.